5 Ways Delaying Bankruptcy Can Cost You | Denver Bankruptcy Attorney - Jon B. Clarke, P.C. Managing debt is part of life for many people. When that debt becomes overwhelming and unmanageable, however, ignoring the problem – and putting off bankruptcy or other debt relief options – can be ruinous. That’s because debt won’t disappear and creditors will become increasingly determined to collect the monies owed to them. Overtime, if borrowers don’t pursue debt relief help and their debt continues to snowball, the actions that creditors and debt collectors may take to try to collect outstanding debts can become more severe – and can cost borrowers significantly. Credit impacts – Creditors can and will report unpaid debts and defaults to one (or all) of the major credit reporting bureaus. While this credit hit may seem hollow to those struggling with debt (as they may already have damaged or poor credit), it can have lasting impacts – and it can be a red flag that creditors are gearing up to take one or more of the following more serious actions against a borrower. 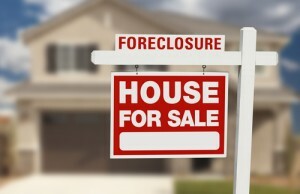 Foreclosures – Lenders can pursue foreclosures when borrowers’ defaulted debts include mortgage arrears. When this happens, lenders will typically notify borrowers via mail that foreclosure proceedings are underway and that, to stop them, the arrears have to be paid in full. Repossessions – Similar to foreclosures, repossessions are another option that creditors can take when borrowers fall behind on their debt payments. Items that can be subject to repossession include (but are by no means limited to) cars, boats, furniture, jewelry or any other property put up as collateral. Wage garnishments – Another option creditors can pursue when borrowers have fallen behind on debt payments is wage garnishments. With this action, creditors will generally have to get a court order granting the garnishment; if granted, creditors can then take a percentage of borrowers’ paychecks for the term of the garnishment. Lawsuits – In some situations, creditors may choose to sue borrowers directly, seeking a court judgment against them for some (or all) of the outstanding debt. While receiving notice that any of the above actions are being taken against you can be scary, the good news is that you have options for stopping these actions. And one of your best options in these situations can be filing for bankruptcy. Upon filing for bankruptcy, a court injunction known as an “automatic stay” goes into effect, stopping creditors from pursuing any of the above actions against you while you focus on resolving your debt issues. Call our firm at (303) 779-0600 or (866) 916-3950 or email us using the contact form on this page. You can also complete our Business or Consumer Debtor Analysis Form to get specific answers and advice pertaining to your situation.